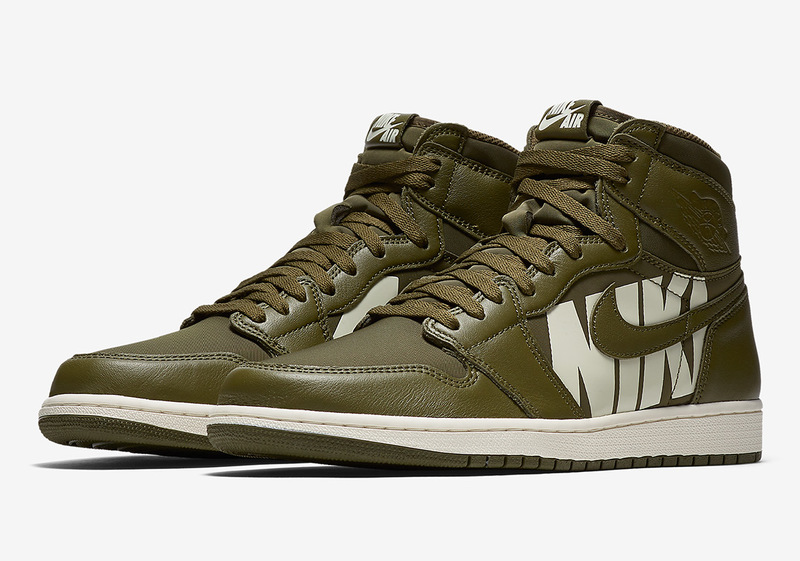 It’s certainly been a bountiful summer for Air Jordan 1 lovers. 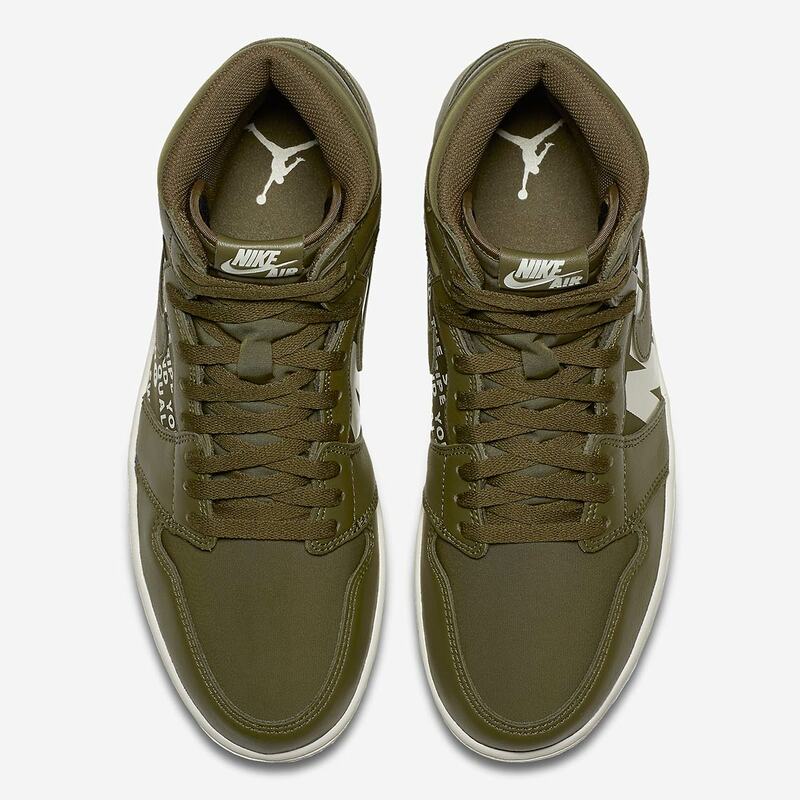 MJ’s first-ever signature shoe has released in a cornucopia of new colors and alternate styles, all while managing to avoid overexposure and retain its highly esteemed place in the pantheon of legendary Jordan releases. 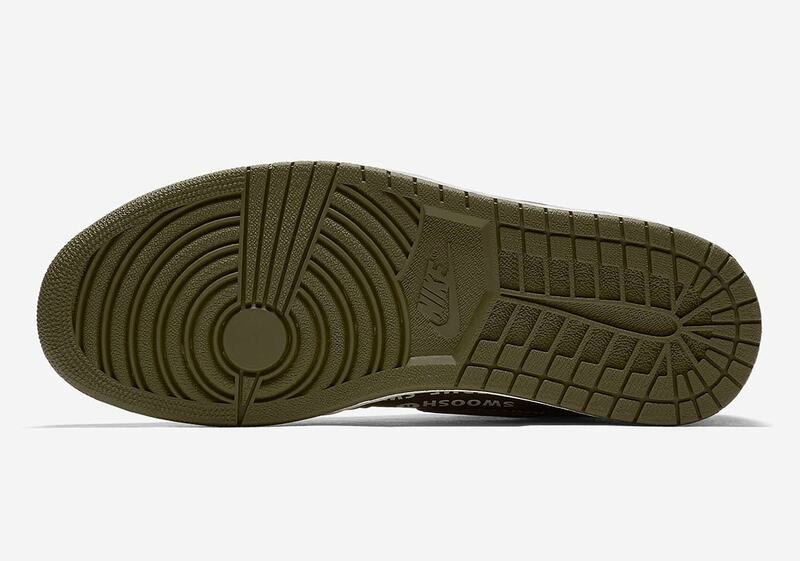 Now it’s set to join the ever-growing ranks of boldly branded classic Swoosh Brand silhouettes, as a military-esque “Olive Canvas” colorway is set to release soon. 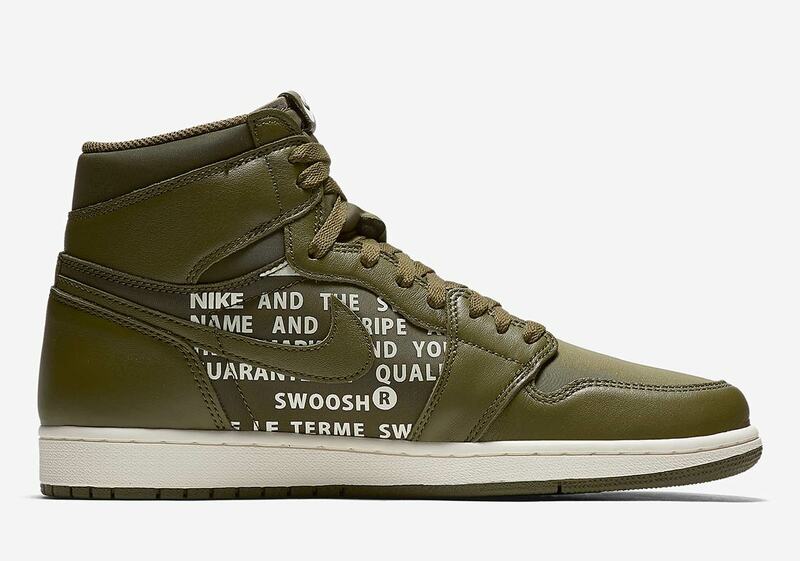 Constructed of a tonal olive leather and canvas, the shoe’s striking white accents arrive via large “Nike” and “Air” hits and a blow-up text variant of the script that usually adorns the inner tongue tag on both the lateral and medial quarter panels. For an interesting touch, the branding is inverse on each shoe: the left features the large script logo hit on the lateral side and the tongue tag text on the medial side, while the right shoe flip-flops that order, moving the branding to the medial side and text to the lateral side. 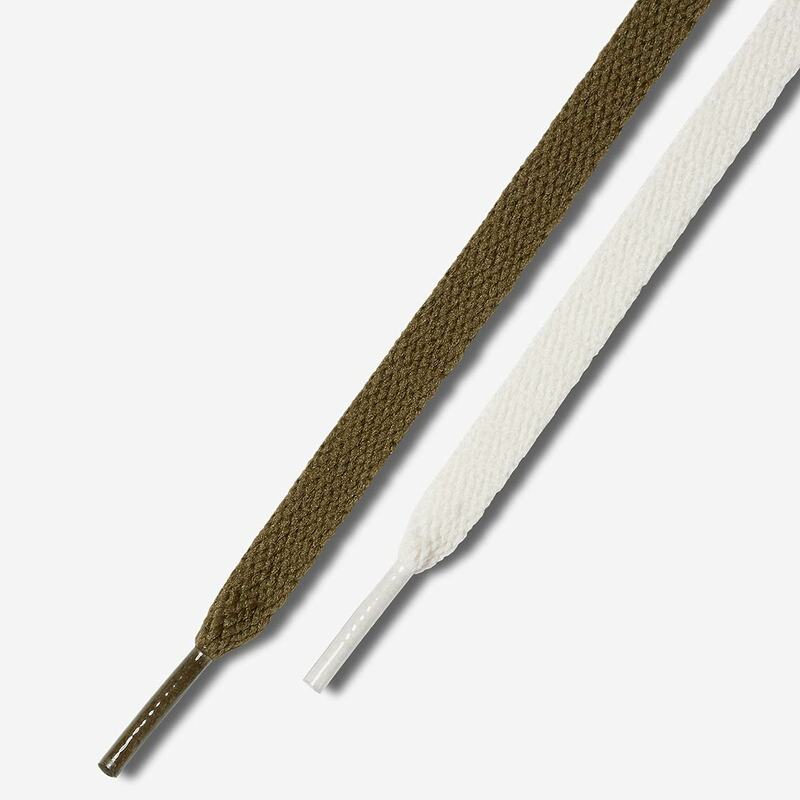 The look is completed by a leather tongue patch with debossed detailing, a sail midsole, an extra set of white laces if the wearer desires a touch more contrast, and an olive green outsole. 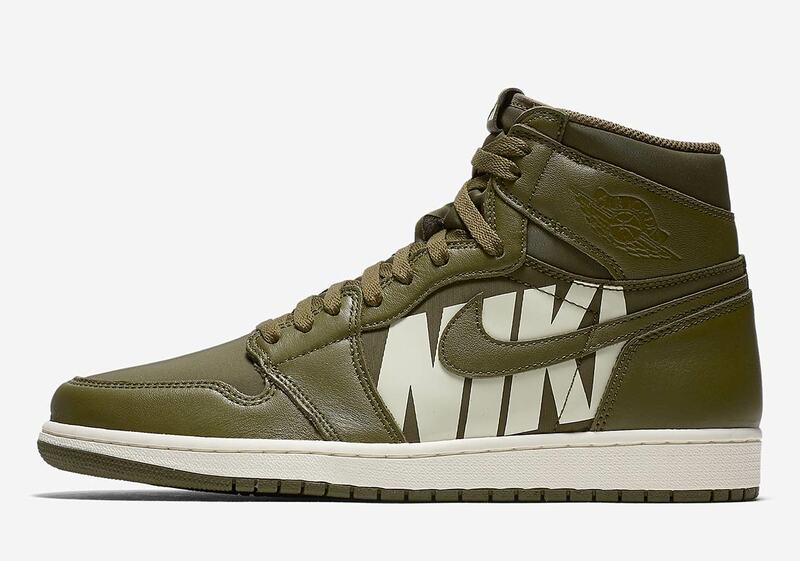 These adventurous Jordan 1s are set to release in Greater China, Asia, the Pacific, and Latin America during the coming weeks, so it’s possible that they could be a regional exclusive similar to the “Best Hand” pack. 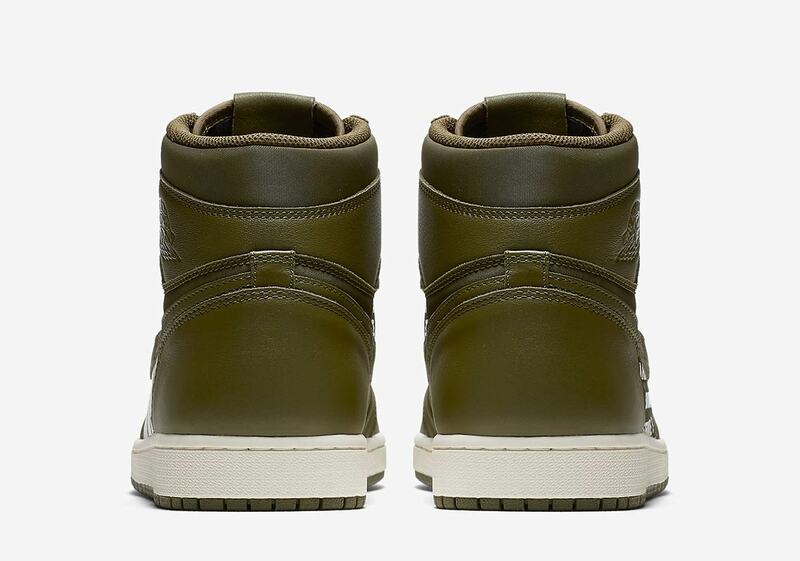 Enjoy a full set of official images below, and be sure to stay tuned to our Jordan Release Dates page for release info and updates about these “Olive Canvas” 1s as well as the other colorways of this new take on a classic.